﻿ Buy Deadman Gold, Cheap OSRS Deadman Season Gold For Sale! Buy 1M Gold 20% OFF! Old School RuneScape (OSRS) is a massively multiplayer online role-playing game. Because of the game's simple interface and gameplay mechanics, OSRS has a relatively low bar of entry rather. It's a favorite first game for players who are new to internet games. OSRS Gold is short for Old School Runescape Gold. There are also some people who call it RS 07 Gold or OSRS GP, which refers to the amount of money that the player has in the game. Players can use this in game currency to purchase various items, stake in duels, pass through gates and more. 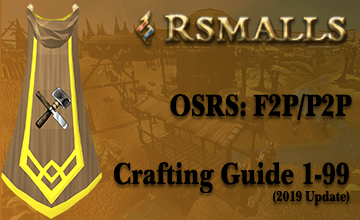 Having a lot of RSGP will give you a better gaming experience in the Runescape, but it is not easy to get Runescape 2007 Gold in the game through your own efforts. Many methods of making money in runescape have high skill requirements, or need to do a duplication and tedious work. Such as Chambers of Xeric(90+ Attack, Strength, Defence, Magic, Ranged recommended), Growing magic saplings(75 Farming, 68 Magic, 85 Multicombat needed for Dream Mentor, to unlock the spell "Humidify"), Killing Zulrah(70+ Defence, 80+ Ranged, 80+ Magic, 80+ Hitpoints, 45+ Prayer recommended). If you are not a member of runescape, it is even harder to make money. 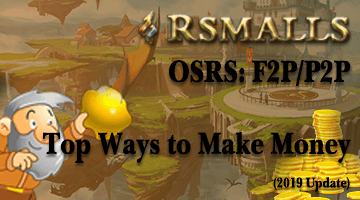 For Runescape F2P And P2P Players, A Fast and Safe way to get enough gold is to Buy OSRS Gold on the rsmalls.com. Rsmalls offers legit Runescape 07 Gold for sale. We have many years of sales experience. So far, there is no one who has been banned after buying our gold. We have won praises from many buyers. Our prices are updated in real time. In addition, using our discount coupons or bulk purchases allows you to Buy 07 Gold at the lowest price. Our online customer service is available 24 hours a day, so you can contact us at any time. We support a variety of payment methods(Paypal, Visa, Mastercard, Western Union, Webmoney, Bitcoin, Moneygram, Polipayment, Alipay, Sofort, Neosurf, YandexMoney, Boleto, Santander, Onecard, Qiwi), so that you can Buy Old School Runescape Gold more conveniently. We stock Sufficient, so you don't have to wait. Our delivery speed is fast, let you receive RSGP in time. Our services are not limited to providing Runescape Gold, you also can buy fire cape, OSRS Accounts and exchange gold from us. We are very focused on protecting the privacy of our customers and the security of our transactions. The information you fill out on our website will not be obtained by third parties. Your information will only be used for this transaction. The purchase and delivery process of Old School RS Gold is simple, but there are some reminders that you need to pay attention. When we deliver your RS 2007 Gold in the game, Please don't chat with anyone, including our traders. Please also note that you should not hand it back when you receive RS Gold or Runescape Items, please beware of liar. Deadman Mode is a unique game mode for OSRS. The difference between this mode and the normal ols school runescape is that the PvP combat is everywhere, the item & XP will be lost when you die. Deadman mode has made many players love runescape again due to the player-vs-player environment. Why buy Deadman gold is the best way to get enough gold in deadman seasonal? As everyone knows, Deadman is a pvp combat mode, it’s not easy to make money in the game. Buy deadman seasonal gold on our website will save you a lot of time and give you a greater enjoyment of the game. Why Is Rsmalls The Best Choice For Buying Deadman Gold? 1.Cheapest Prices & Always Full Stock. 2.Instant Delivery & Multiple Payment Methods. 3.Selling Gold For More Than 12 Years. 4.More Than 100 000 Happy Customers. 5.Buy Runescape Deadman Mode Gold With 24/7 Live Support. quick and easy payments, best service i've received. These guys never fail to be fast and effective! Will continue to do business with them! Legit. I bought 50m from them. Took about 10 minutes. Very happy!